The dramatic double height residential lobby offers 24-hour concierge service. Multi-level parking garage with electric charging stations. 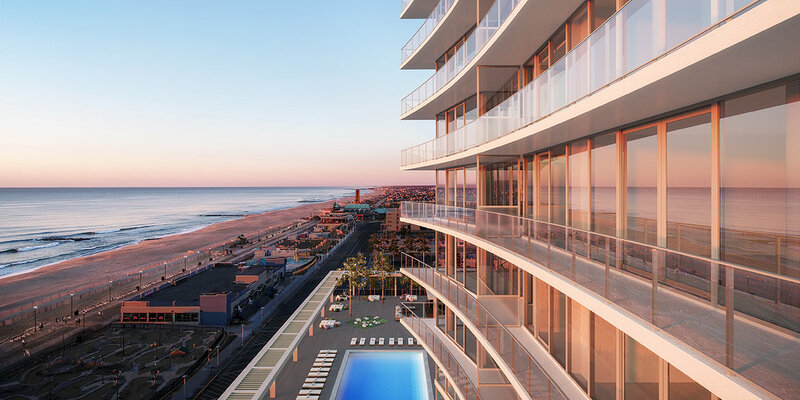 The 65 foot Garden Terrace Pool overlooks Asbury’s famed boardwalk along the beach and the Atlantic. 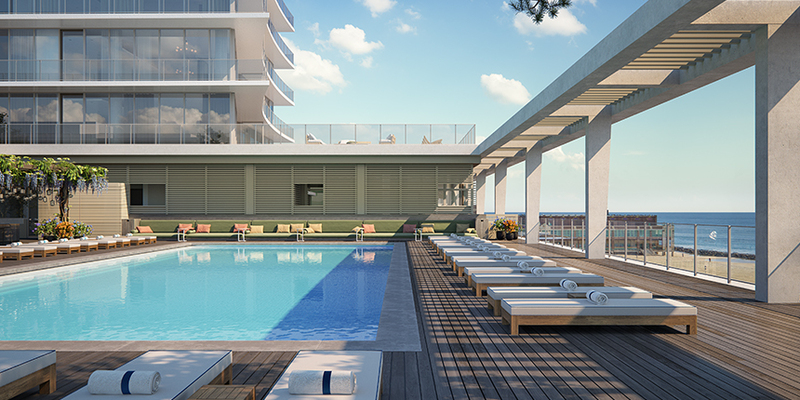 Cold beverages, light fare, and towel service is offered poolside. Offering surfside pool and cabanas. Approximate sq. ft of full floor units: 10,335 sq. ft. Approximate sq. ft of duplex penthouse: 20,000 sq. 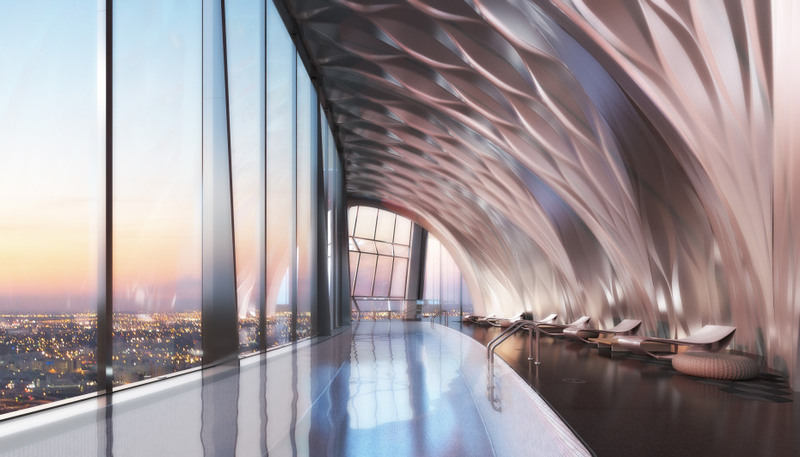 ft.
One Thousand Museum by Zaha Hadid, Miami’s most prestigious new residential tower, blurs the lines between art and architecture. 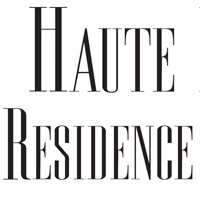 The limited collection of museum-quality homes offering an unprecedented level of service and amenities. 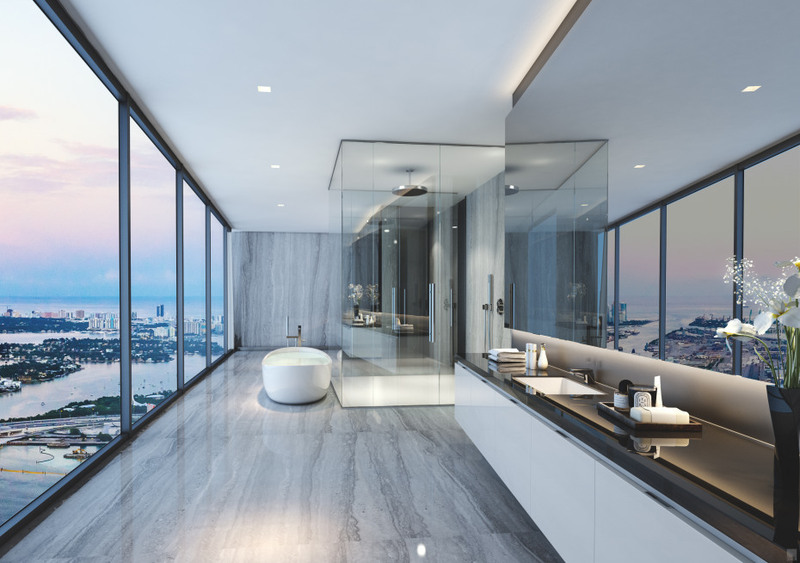 Half-floor residences, such as #2402, feature a flow-thru floor plan with unobstructed Biscayne Bay and Atlantic Ocean views, 4 bedrooms, 5.5 baths, including an exquisite master suite, great room, family room, and service quarters. Under construction. Scheduled delivery for end of 2018.